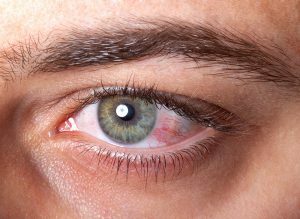 Eye irritation usually occurs due to external aggressions produced by various agents (smoke, environmental chemicals, chlorinated water, snow) and other irritants, which can be physical (dust, wind, extreme cold). The most common symptoms are burning eyes and inflammatory discomfort, with the sensation of having a foreign body. Another frequent cause of irritation is ocular dryness, which occurs in environments with air conditioning or heating that cause the evaporation of tear secretion. In elderly people, there is often a decrease in the production of tears that causes dry eyes and predisposes to suffer eye irritation. Tobacco smoke, dust or long working hours in front of the computer, are situations of daily life that usually produce ocular irritation. The frequent contact of the eyes with the water of the sea and, above all, with the chlorine from the pools causes eye irritation on many occasions. If we bathe in water that is too chlorinated, the fine tissue that covers the back part of the eyelid (the conjunctiva) becomes irritated, causing reddening of the conjunctiva. Of course, it is also not convenient to submerge in waters that are not treated with the necessary levels of chlorine because, precisely, their purpose is to eliminate germs and bacteria that, if they come in contact with the eyes, could cause important infections. 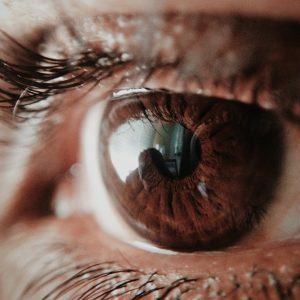 Some people predisposed to suffer from eye discomfort are those who undergo constant fixation efforts, for example, those who work in poor lighting conditions (or with artificial light), in contaminated environments or with smoke. Michigan laser eye surgery is one of the highest rated services provided by the Yaldo Eye center. If the ocular irritation persists for more than three days, it is recommended to go to an ophthalmologist to find out the cause and receive adequate treatment. However, in most cases, irritation can be prevented with proper hygiene and eye care. One of the leading providers of lasik Michigan is the Yaldo eye center, we can help guide you on any eye treatment you are looking for. Avoid rubbing the eyes, as this gesture can introduce bacteria and cause infections. Also, if our eyes are releasing histamine, rubbing them will only increase the discomfort, since the histamine will spread throughout the ocular surface. Avoid potentially irritating factors, such as sun, dust, pollution or dry environments. Protective goggles should be worn in swimming pools and in workstations that present an eye hazard. Rest the view looking at a distant point a couple of minutes after an hour of work in front of the computer. By blinking correctly, we avoid ocular dryness. Maintain strict hygiene with contact lenses, do not use them longer than necessary and discard them when the recommended time of use is met. When you are fixing your eyes for a long time, it is advisable to take brief breaks to avoid straining your muscles. Do not work in front of the computer in the dark, because the glare affects the retina. Try to carry out most of the work activities with natural light. It is recommended to keep properly ventilated those places where you work and where smoke concentration usually occurs. The use of sunglasses can be useful to protect the eyes. For those experiencing any complications or irritations with their eye should seek a lasik eye surgeon Michigan. The Yaldo eye center is one of the best choices when it comes to Michigan eye surgery. With over 20 years of experience in helping thousands of patients in Michigan and other states, we are more than qualified to take care of your eyes. Trust your eyes with the Yaldo Eye Center and call us today!